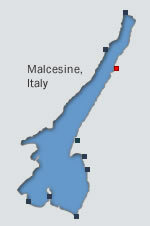 Malcesine is the main settlement along the narrow strip of flatter land on the eastern side of the lake running north from Garda through to Torbole and Riva del Garda. It is one of the most attractive settlements on the whole lake and has drawn writers and artists to admire the lovely setting and the relics of history in the town. 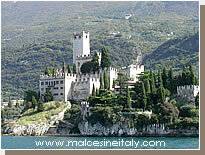 We hope you find the Malcesine Italy website useful and look forward to hearing your comments about the site and the village. We especially welcome any views about the resort from those who have stayed there.